I've been dreaming of sailing to Gibraltar for a long time. Going there by car is not the same. We left Seville with the plan of having lunch in the mountain town of Ronda and then making our way down to Puerto Banus. Ronda was a big attraction on the "what to see" list. We drove slowly along the city's narrow main street looking for a parking spot and, not finding one, kept driving all the way through town. When we stopped at a gas station outside of town, we filled up the diesel tank, looked back at the cluster of buildings, took a few pictures and kept going to Puerto Banus, Marbella. Now I can say that I've been to Ronda. 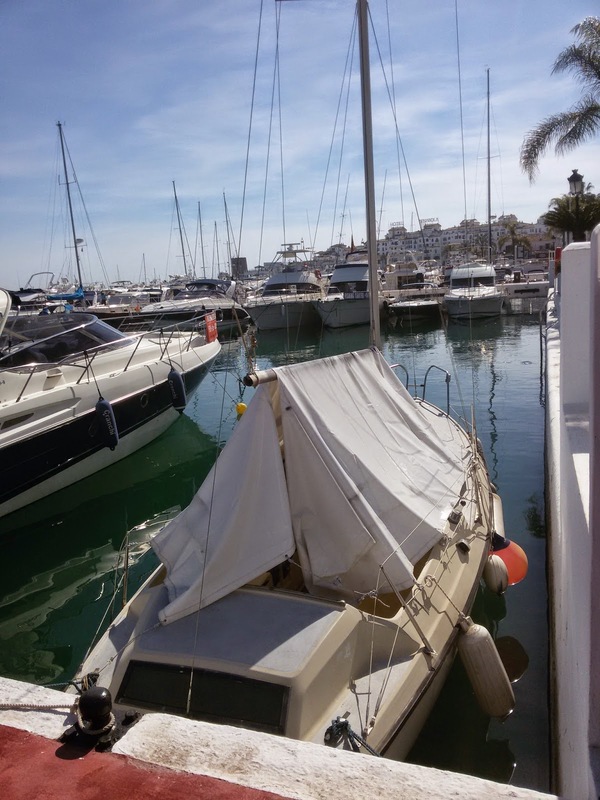 Puerto Banus was a short drive away, so I called the rental woman to see if we could check in at about 1 pm. "Yes, yes you can. Thank you." Luckily she spoke English because Andalusian Spanish is beyond me. The GPS took us to an apartment building lined with shops along the ground floor, numbered 2, 4 and 6, but not number 8 where we were supposedly staying. And the next building started at number 10. Strangely, none of the shop owners knew where number 8 was and didn't really care. I called the apartment owner, and she said she'd send somebody to get us. We waited 20 minutes, I called again, and eventually a young guy showed up in a jeep. It turns out we were smack in front of no. 8, but the number plate next to the entrance gate was concealed behind a large brush. Obviously not one soul in the whole building, not even those who rent tourist apartments, have ever given any thought to trimming the guilty brush...welcome to Spain! I live in Portugal, so I'm acclimatized to this "don't worry, be happy" attitude. In the end, everybody finds number 8, so why bother trimming the brush. 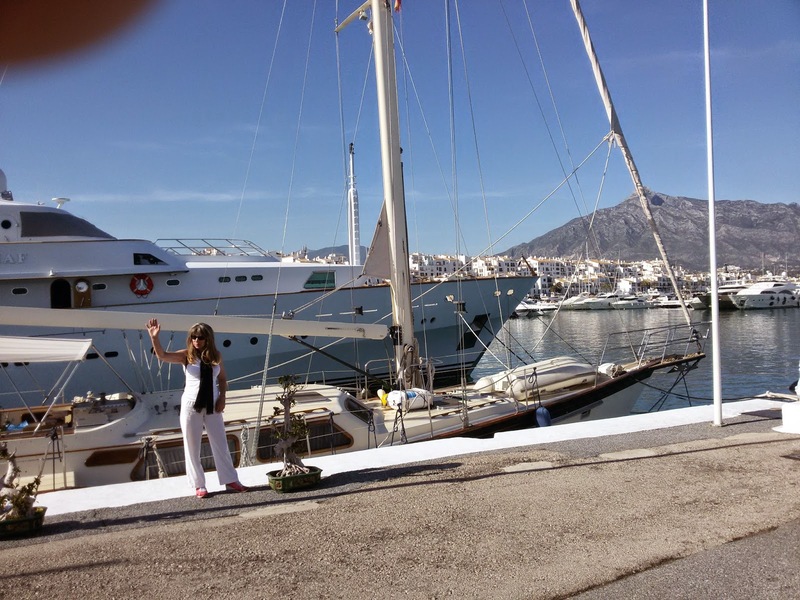 The Puerto Banus marina is home to large yachts, expensive and/or fast cars, millionaires dressed like shop window mannequins, professional skippers and terrific-looking professional blondes. If you want to buy a pair of shoes for 800 euros or watch people wearing them, this is the place for you. That's what turns people on and attracts a crowd. "Honey, do you want to visit the art gallery or go watch the millionaires at the marina?" The marina, a sort of yacht condo complex, had no appeal for me whatsoever. It's organised like a class system: the ritzy end has the biggest yachts that gradually get smaller toward the other end where the owners are not escorted by professional blondes. The eastern tip of the marina had a few interesting boats. 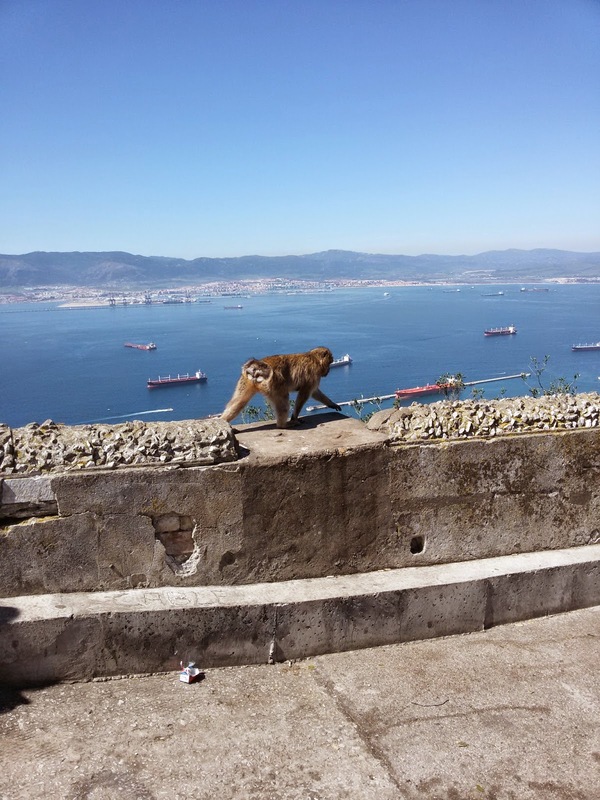 The next day we went to Gibraltar. 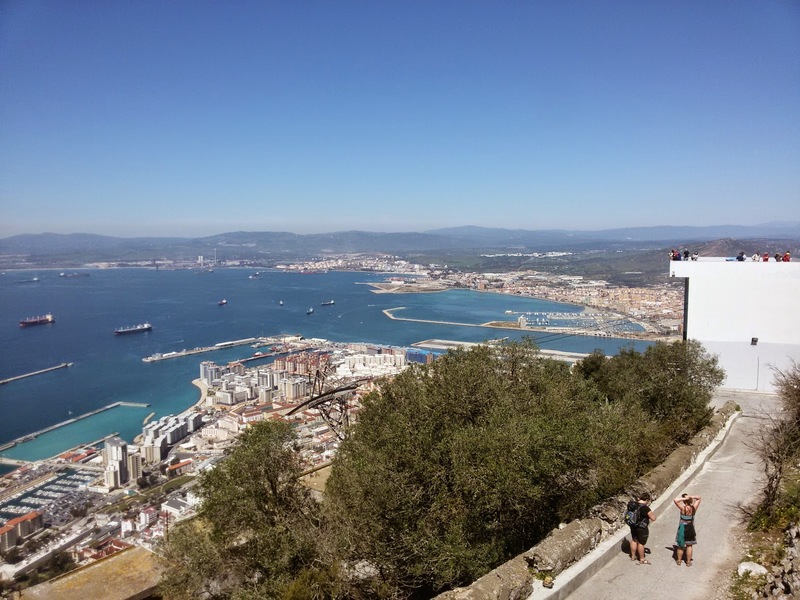 Since I've always had a vague plan to sail there, I decided to scout out a good location for anchoring in Gibraltar. I saw only one anchored sailboat, and it was local, so I learned nothing. The monkeys at the top of the "rock" are quiet civilized. I'd heard they would try to steal stuff from tourists, but they hardly looked at us. I still think I'll sail there some day, check out the chandlery shops and hopefully buy nothing because I'll need nothing and want nothing. Wouldn't that be the day, needing nothing, wanting nothing that I don't already have, except more time. Time is on our side, yes (i think) it is! Time is on our side...until it runs out and we have to pay the big bill !!! You sailed by Gibraltar on a super tanker? Now, that's interesting.